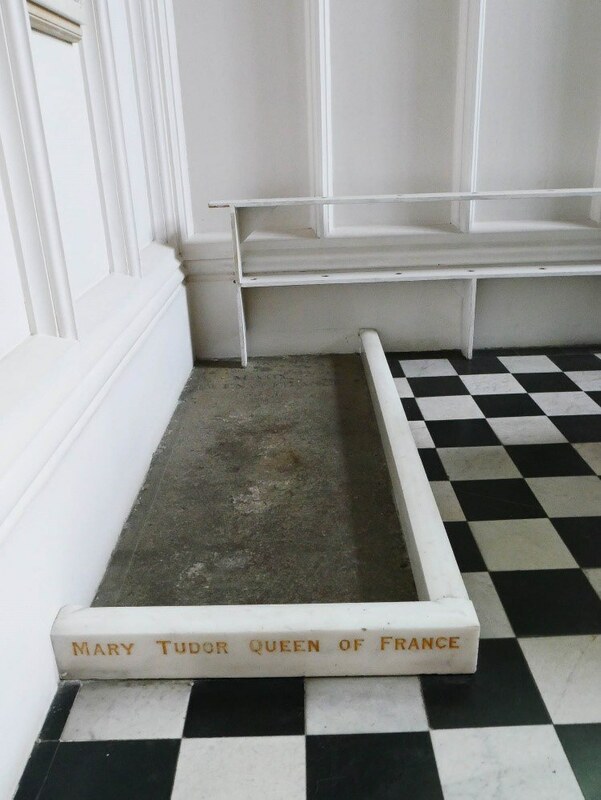 Mary was the second surviving daughter of Henry VII and Elizabeth of York. She spent most of her childhood in the company of her older sister, Margaret, and her brother, Henry, Duke of York. Her eldest brother, Arthur, was brought up separately. She and Henry formed a close bond, and, so far as his ego permitted, he loved her. By the time Mary was old enough to be aware of her surroundings, Henry VII was fairly safe on his throne – he had dispatched the pretenders, Lambert Simnel and Perkin Warbeck, and arranged two very advantageous marriages for his older children. One of Mary’s first public outings was to the wedding of Arthur with Katharine of Aragon in 1501. The early years of the sixteenth century were dogged with misfortune for the royal family. Mary’s younger brother Edmund, Prince Arthur and Queen Elizabeth all died within the space of three years, plunging Henry VII into melancholy. Mary herself appeared unscathed, and, by 1506, when she was ten years old, was already charming visitors to the English court with her beauty, her grace and her musical abilities. She helped to entertain Duke Philip of Burgundy when he and his wife, Juana of Castile, were shipwrecked in England. Henry saw his opportunity and ‘persuaded’ Philip, before he was allowed to depart, to agree to a marriage between his son, Charles, Archduke of Austria, and heir to the crowns of Castile and Aragon, and Mary. Despite the death of Philip the following year, agreement was reached with his father, Emperor Maximilian, for the planned marriage to be enshrined in a formal treaty. In December 1508, Mary was married by proxy to Archduke Charles. For the next five years, she was known as the Princess of Castile. On her brother’s accession in 1509, when Mary was thirteen, she became one of the leading figures at his court, close to both Henry and her sister-in-law, Katharine of Aragon. Her marriage to Charles was considered a foregone conclusion, and preparations for its final solemnisation began in 1513. It was to be the final link in an alliance between Henry, Maximilian, and Charles’ other grandfather, Ferdinand of Aragon, who was also Queen Katharine’s father. Between them, they would conquer and dismember France. Henry set out across the Channel and had some success, but, before long, his allies double-crossed him. Maximilian dragged his feet over finalising Mary’s wedding, and Ferdinand withdrew his consent. Furious, Henry determined to have his revenge. Mary repudiated her betrothal to Charles, and a hasty treaty was agreed with Louis XII of France. Louis, aged fifty-two, recently widowed and gouty, was eager to make one last attempt to have a son of his own, and displace his heir, François of Angouleme, from the succession. He jumped at the chance to marry Mary, who was generally agreed to be a ‘nymph from heaven’. Henry persuaded his sister to accept this rather unattractive husband by assuring her that it was for the peace of Christendom. Mary agreed, but countered with the requirement that Henry would allow her to marry a second time at her ‘liberty’, should she be widowed. Two proxy ceremonies were carried out, then Mary, with a trousseau the like of which had seldom been seen before, and valued at 200,000 crowns, departed for her new kingdom in October 1514. A final marriage ceremony took place, and Mary was crowned in St Denis. Louis was besotted, and showered her with jewels, although he dismissed her English household, much to her distress, allowing her only to retain a couple of maids-of-honour, one of whom was a young English girl named Anne Boleyn. Mary had little time, however, to enjoy her new position as Queen of France. On New Year’s Day, 1515, Louis died, and the court was plunged into mourning. François could not be crowned until it was certain that Mary was not pregnant. In keeping with tradition, she retreated to the Hôtel de Cluny, swathed in white robes, to wait forty days for nature to take its course. During this period, she wrote to Henry, complaining that François was treating her unkindly and making suggestions that were ‘not to her honour’. As well as trying to seduce her, he was hoping to persuade her to marry a man of his own choosing. It was rumoured that the marriage to Archduke Charles would be resurrected. Mary was appalled – she had other plans, and they soon came to fruition. It seems to have been known to Henry that his sister was attached to one of Henry’s friends, Charles Brandon, Duke of Suffolk. Suffolk was around thirty-one, to Mary’s nineteen, and had already had a chequered matrimonial career. His feelings for Mary are unclear. He was certainly willing to swear an oath to Henry that he would not ask Mary to marry him, and on this understanding, he was sent to France to negotiate her return. Mary was overjoyed to see him, and, within days, encouraged by François, she declared that she wished to marry him. Suffolk, writing to Henry, assured the king that Mary was distraught –‘I never saw woman weep so’. The two were soon married, and, as Suffolk put it ‘ha[d] lain together so heartily that [he feared] she would be with child’. 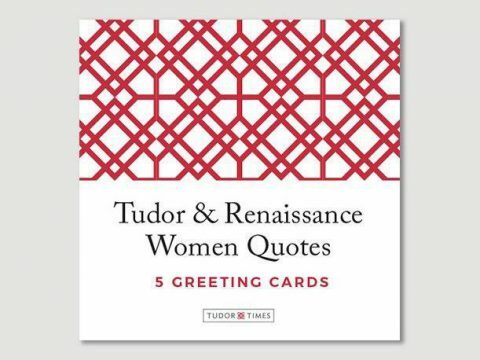 The couple now deluged Henry and his minister, Wolsey, with letters, pleading for forgiveness, promising abject obedience in future, and, more usefully from Henry’s point of view, agreeing to pay huge fines, comprising a large proportion of Mary’s dower as Dowager Queen of France. She also sent Henry the Mirror of Naples, the fabulous diamond that was the property of Queens of France. This appropriation made the long-term receipt of her income from France fraught with difficulty. Henry relented, and Mary and Suffolk returned to England. Although she was now Duchess of Suffolk, she retained her rank as dowager-queen for the rest of her life, and was usually referred to in England as the French Queen. Mary bore at least four children. Her eldest son, Henry, died in 1522, but her daughters, Lady Frances and Lady Eleanor Brandon, grew up. She had a second son, Henry, Earl of Lincoln, born in about 1523. As the 1520s wore away, Mary’s health deteriorated. She visited the court much less frequently, perhaps because of declining health, or possibly because she could not bear seeing Katharine set aside for her own former maid-of-honour, Anne Boleyn. The idea of curtseying to Anne as queen must have been anathema to her. Suffolk, on the other hand, however little he liked Anne, was prepared to support Henry to the hilt. Mary did not attend Anne’s coronation on 1st June 1533, probably because she was mortally ill. She died later that month. Suffolk was not beside her. Towards the end of Mary’s life, she and Suffolk obtained a ward, Katherine Willoughby, who as Baroness Willoughby in her own right, was a suitable match for their son. By September of 1533, Suffolk had married her himself, although she was only fourteen. Mary was buried in the Abbey of Bury St Edmunds. At the dissolution of the Abbey several years later, her remains were transferred to the neighbouring church of St Mary.